The depths of the ocean are proprietors for great beauties of math, science and poetry. 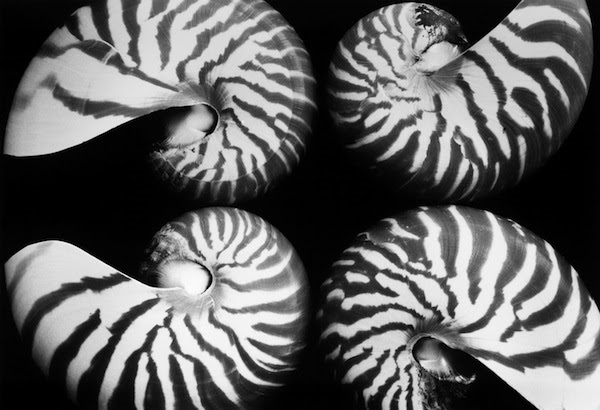 As such, photographers such as Edward Weston have long been entranced with what the might find. Andrea Baldeck is one of the latest to find a nautical muse. “From the delight of a serendipitous find on the beach to the abstract beauty of a sculptural object, sea treasures have appealed to the eye and imagination since antiquity. Shells can serve as currency, seduce as adornment, symbolize concepts (in mathematics) and signify faith (the scallop of St. James). Marine creatures feature in architectural ornament, on fabrics, paper and porcelain. They speak to us of familiar experiences walking the tide line, and stir our imagination with hidden worlds of the deeps. Undersea riches, brought to light, dazzle with their diversity of form and size, texture and patterns. Twenty-Two Gallery’s latest exhibition will be opening with a reception on Friday, November 13th, from 6-9 PM. Philadelphians and its visitors will only have a short opportunity to catch Baldeck’s work, however, because the exhibit will conclude December 6th.